3D Laser Cutting - 5 Axis Laser Cutter | Laser Cutting Company, Inc.
Laser Cutting Company is a leading provider of custom precision 3D laser cutting services to the OEM and replacement part markets. 3D laser cutting is used to cut slots, holes, corners, and other features in parts such as tubes, channels, angles, and beams. Using a 5-axis laser cutter, 3-D laser cutting is fast, precise, and repeatable. Multi-axis machinery can produce precision parts with complex geometries and surface features in one process. For over 30 years, Laser Cutting has manufactured high-quality custom metal parts to the tightest tolerances. 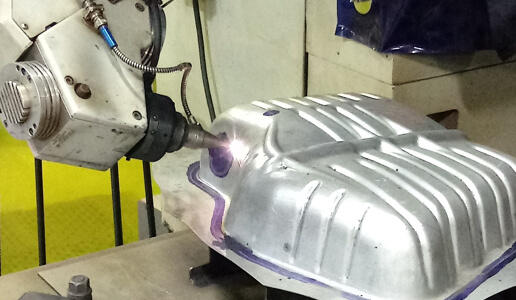 We utilize the latest 3D laser technologies to provide our customers with parts that meet or exceed their expectations. We deliver value on all of our projects - unmatched quality products supported by superior customer service at competitive prices. We serve all industries, including the automotive, aerospace, heavy equipment, military, agricultural, medical, and power generation industries. Laser Cutting Company has the expertise and experience to manufacture a precision laser-cut part that meets your exact specifications and deliver it production-ready, on-time, and on-budget. Call or contact us today to learn how we can solve your manufacturing challenges.